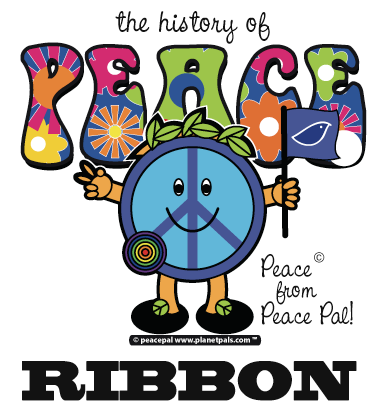 What is a Peace Ribbon? 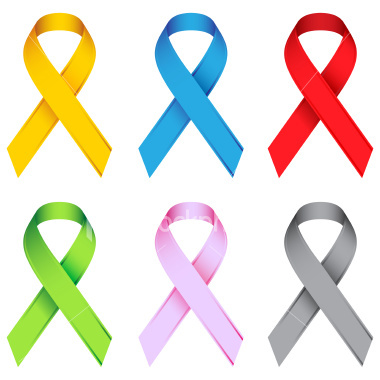 Ribbons tied like this are used for many reasons and in many colors. Such as yellow for hope, black for mourning, red white and blue for the USA, and so on. There are many "ribbon projects" around the world, using different colors. 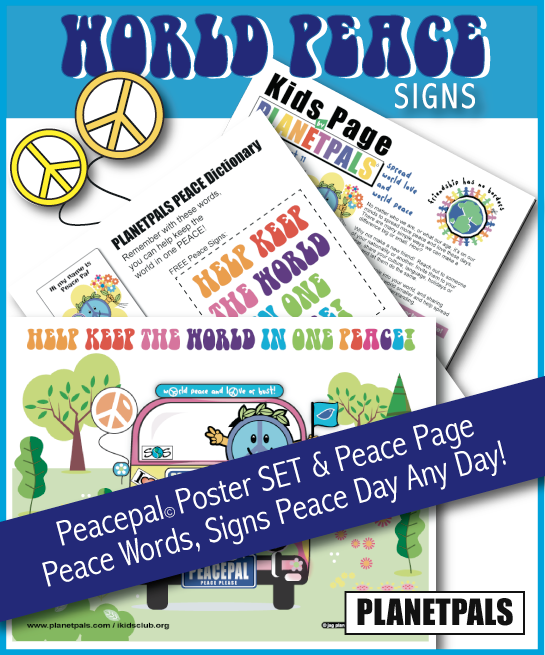 To promote world peace we suggest you make on in rainbow colors or in blue. To promote peace in the USA, you could make it with three pieces: red, white and blue strands as in number 4 (right) or from one piece of ribbon that is red white and blue colored or printed. Shapes: You can make it in this shape (style illustrated) or in the shape of a tied bow like on your shoes. To secure it: Glue it, tie it, staple it, or pin it where the ribbon strands cross over. Make it in rainbow colors to represent the many colors of the world's people (sample to left). Make it in blue (see number 1 below). Blue is the color most often associated with peace. Make it with one ribbon that is multi colored or printed designs such as flags. Make it with many different pieces of ribbon in rainbow colors (see number 3 and 4 below). Add to it: You can add a peace symbol, country symbol, star or your flag to it where it crosses or ties, and change colors (depending on your country), as in number 2 below. To wear it: Attach a pin to the back so you can easily pin it to your clothes. You can use a safety pin, or buy jewelry pinbacks at the craft store. These two are the safest to use!